AMBA, AACSB and EQUIS accreditations. As of November 2011, only 55 schools have obtained all three accreditations. Differing from the conventional focus of most MBA programs on finance and management consultancy, the IE Business School is dedicated to cultivating students' individual entrepreneurship. In the 2011 Financial Times rankings, the IE Business School ranked 4th in European business schools and 8th in Global MBA rankings. Also in 2011, IE Business School's MBA program was ranked 3rd by Forbes. 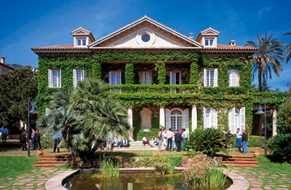 ESADE was established by a group of Society of Jesus members and Spanish businessmen. The school is located in Europe’s most international city and Spain’s second largest city, Barcelona. ESADE is focused on students’ team spirit, analytical and problem-solving skills, communication and interpersonal skills, international knowledge and experience. The school has already been educating students about social responsibilities even before universities around the world began establishing MBA programs. ESADE believes that it should take on economic and social responsibilities. Promoting the pursuit for greater social justice and freedom is the schools education and founding philosophy, therefore the campus fosters a humanistic atmosphere. ESADE stands atop in various evaluations. In 2006, the school ranked top in the Master of Business Administration worldwide ranking, and in the same year, the school again stood atop in the business school ranking conducted jointly by The Wall Street Journal and the Harris Interactive International. In 2008, the school was placed at No. 28 in Financial Times’ Global MBA rankings (http://rankings.ft.com/businessschoolrankings/global-mba-rankings-2008). 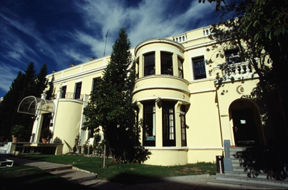 EADA Business School, founded in 1987, is Spain's first institution to provide professional administrative training. In the last five decades, there have been more than 120,000 requests from 40 different countries, commissioning EADA to provide relevant training courses, demonstrating EADA’s status as the most recognized business school in Spain. Its exceptional achievement in business education has earned itself AACSB, AMBA, and EQUIS accreditations, which is one of the few schools in the world to attain all three leading accreditations. Moreover, in the 2008 Global MBA ranking published by UK’s Financial Times’, the EADA ranked among the top 100. (http://rankings.ft.com/businessschoolrankings/global-mba-rankings-2008). 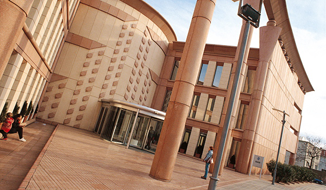 University of Navarra is one of the best private universities in Spain. 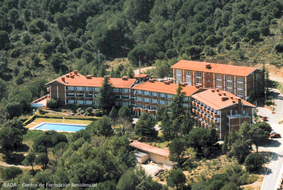 Located in the Navarra province, it is the first university in Spain to implement bilingual education. It has a young team of faculty members, a total of 700 instructors with an average of 38 years of age. The school has established a Language Learning Center, combining live instruction and distance learning, providing a great environment for Spanish, English, French, German, and other languages. There is also a specialized office to service overseas students, providing all kinds of aids and assistance. The School of Economics and Business Administration offers over 300 graduate courses.